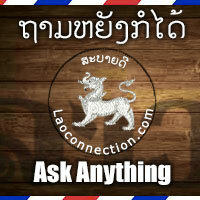 Answer: Aside from this main blog site itself, at the moment the only other official uses of Laoconnection.com on the internet are our Facebook Page and Youtube channel. We may eventually begin using other platforms as well. All the other stuff you see on the internet are from other organizations and sites that have or are attempting to use the Lao Connection name but are not related to us at all. For the record, in 1998, I began using the moniker The Laotian Connection Website, or LCW for short. I eventually shortened it to simply Lao Connection and decided to register that domain name in 2000 with a .com extension. That gives you an idea of how long we've been using it.